Antibiotics vary with their chemical structure, and this will determine what type of infections they treat, and whether they kill the bacteria (bactericidal) or simply slow bacterial growth to let the immune system defeat the infection (bacteriostatic). Some antibiotics can be given as pills or oral liquids, while others require an injection. Many of the antibiotics used in dogs are the same types that are given to people, but the doses can be different. Penicillin can be used to treat urinary tract infections, skin infections or wounds, and upper respiratory infections, or as part of a combination protocol for liver and biliary disease, serious systemic infections, or sepsis. Penicillins are effective against Streptococcus, Staphylococcus (not all penicillins), Pasteurella, and some anaerobic bacteria. Penicillins are not effective against Mycoplasma infections, and may not work well for infections of the prostate, eye, testicles, or lungs. In many infections, penicillins may be one of the first antibiotics used, before further testing or a culture. Any antibiotic can affect the normal gastrointestinal flora and result in vomiting, diarrhea, or poor appetite. Dogs can occasionally be allergic to penicillin. Penicillins are generally safe, but at excessively high doses, neurotoxicity or elevation in liver enzymes could be seen. Fluoroquinolones are used to treat many gram-negative bacterial infections, including those with Escherichia coli, Klebsiella, or Pseudomonas. Infections of the respiratory tract, intestines, urinary tract, and skin are often susceptible. 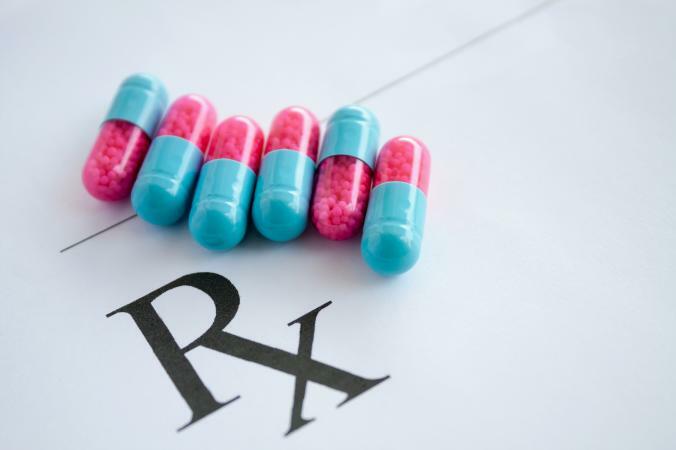 Fluoroquinolones can reach particular parts of the body that other antibiotics may not, and are recommended for infections of the prostate, central nervous system, and bones and joints. In general, this class of drug is not effective against Staphylococcus, Streptococcus, Brucella, Mycoplasma, Mycobacteria, or anaerobic bacteria. Additionally, there is increasing resistance developing among many bacteria usually susceptible, so a culture is often recommended before using a fluoroquinolone. While it may be tempting to ask your veterinarian for a prescription for the less expensive drug ciprofloxacin instead of the veterinary-specific fluoroquinolones, this is not ideal. Although ciprofloxacin may work for some pets, it is not reliably absorbed well in dogs. Any antibiotic can affect the normal gastrointestinal flora and result in vomiting, diarrhea, or poor appetite. Other side effects of fluoroquinolones include damage to the joints of growing dogs when used at high doses, allergic reaction, and rarely, elevated liver enzymes, nervousness, and neurologic symptoms. When using a fluoroquinolone antibiotic, adjustment to dosages of other drugs can sometimes be necessary. Doxycycline is a common antibiotic used in dogs and is part of the tetracycline class of antibiotics. It is available as a generic formulation in tablets, liquid, and injectable forms. Tetracycline antibiotics have been in use since the 1940s and work by interfering with protein synthesis of microorganisms. According to Diamondback Drugs, Doxycycline is the antibiotic of choice in dogs for tick-borne diseases such as Lyme disease, ehrlichiosis, or anaplasmosis. It is often used as part of a protocol in the treatment of heartworm disease, in which it targets the bacteria Wolbachia, an infection of the heartworms themselves that may contribute to inflammation in a dog's airways. Doxycycline can be used to treat respiratory infections such as kennel cough. It is also effective against leptospirosis, Bartonella, and some Staph. infections. Minocycline is another tetracycline antibiotic that is used on occasion. 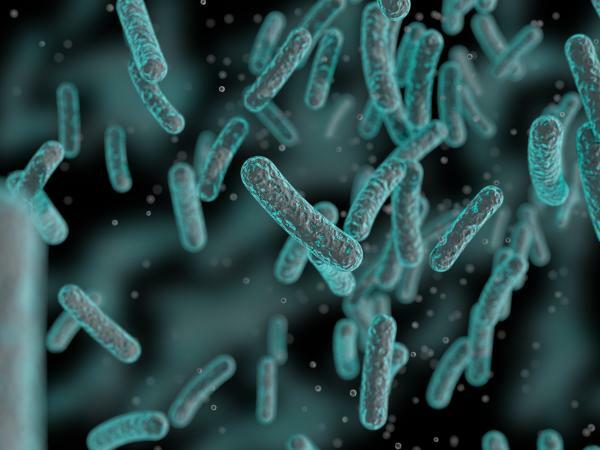 Bacterial resistance to doxycycline is common, and it is not usually effective against infections with Pseudomonas, Proteus, Serratia, Klebsiella, and many strains of Escherichia coli. Doxycycline should not be given with foods that contain calcium (dairy products). It is not recommended for use during pregnancy, as congenital defects, or dental or bone staining can result. First generation cephalosporins are useful to treat gram positive bacterial infections and a few gram negative ones, including those with Escherichia coli, Proteus, Klebsiella, Salmonella, and Enterobacter. Cephalexin and cefpodoxime are most often used to treat skin infections (Staphylococcus pseudintermedius) and urinary tract infections, but are not as useful against anaerobic bacteria as penicillins. Second and third generation cephalosporins have a broader spectrum of activity, with less bacterial resistance. These can be used during surgery, and are effective against a variety of gram-positive and gram-negative organisms, depending on the specific drug. Any antibiotic can affect the normal gastrointestinal flora and result in vomiting, diarrhea, or poor appetite. Other side effects of cephalosporins include allergic reaction, increased salivation, hyperexcitability, and with high doses, or rarely: kidney toxicity, severe skin reactions, neurologic symptoms, or blood cell changes. According to the American Kennel Club, Metronidazole is also used for treatment of inflammatory bowel disease, oral and dental infections, or other infections causing diarrhea or sepsis (blood infections). Side effects of metronidazole can include vomiting, diarrhea, loss of appetite, lethargy, weakness, low blood counts, liver toxicity, or blood in the urine. Rarely, severe skin reactions can occur. When metronidazole is used at moderate to high doses over a long period, you could see neurologic symptoms, including ataxia (wobbliness), difficulty walking, or abnormal eye movements. Fortunately, these symptoms will stop once the medication is out of your dog's system. Metronidazole is not recommended for use in pregnant dogs. Antibiotics should generally be given with food, so one of the easiest ways to give your dog an antibiotic pill or capsule is to hide it in a piece of food. Ask the prescribing veterinarian if you can crush the pills or open up a capsule to better hide the taste of the pill. 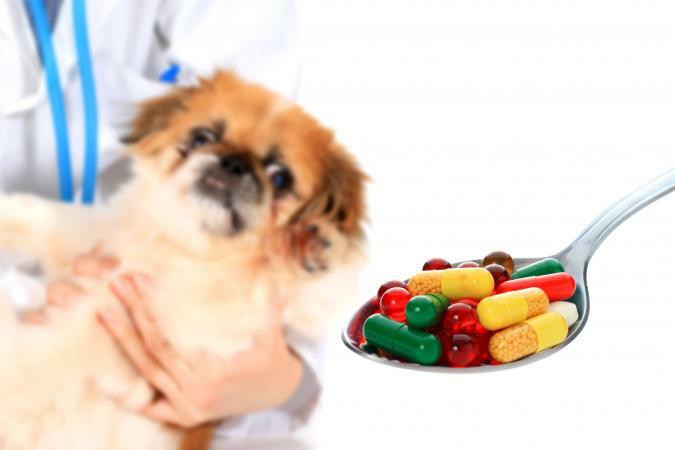 Certain formulations of dog antibiotics may be flavored so that dogs will simply take them like a treat. This video from Willard Vet shows how to give a dog a pill if you cannot hide it in food. Some antibiotics are dispensed in a liquid form (usually in smaller dogs) and have to be squirted into the mouth using a dropper or syringe. It may be tempting to mix these medications into your dog's water bowl, but this isn't recommended. Make sure that you finish all the antibiotics prescribed for your dog and see your veterinarian for a recheck if that was recommended. The vet may need to assess your dog to decide if a longer course of antibiotics is necessary to clear the infection. If you think that your pet is having side effects from the antibiotic, contact your vet to discuss whether a change in the medication is necessary. Can a Pet Owner Give Antibiotics? You may already have antibiotics at home when your dog is sick. However, it is not a good idea to give these to your dog without first seeing your veterinarian. These are prescription medications, so they should not be administered without seeking medical advice. While dogs can take many of the same antibiotics as people, they cannot always tolerate them, and the doses may be different than what an adult person would need. is also best to avoid antibiotics before seeing your veterinarian because this can affect test results that will be important for your vet to reach a diagnosis. 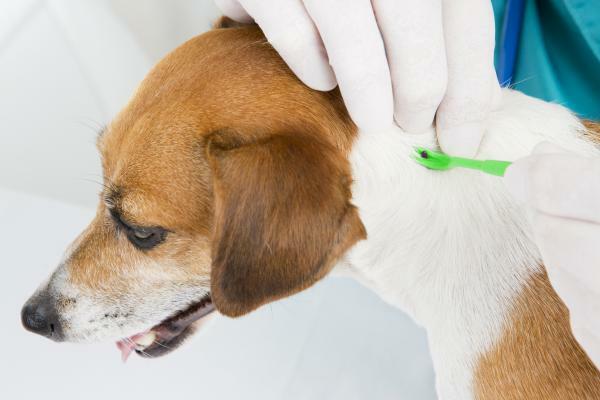 If the antibiotic starts to work before your pet can be checked over, the veterinarian may not be able to tell where the infection is located or how severe the infection is. In cases of a severe infection, a sample of the infected tissue or discharge is usually collected. If a pet has received antibiotics before this sample is taken, the results may not be accurate. A final concern with antibiotic treatment is that these drugs are often overused and this can contribute to the development of bacterial resistance. When antibiotics are used inappropriately (for the wrong type of infection, at an inadequate dose, or for an insufficient time period), some more hardy bacteria will survive and will then pass their traits that enabled survival on to other bacteria. These bacteria grow and lead to a more serious infection that can no longer be cured with common or inexpensive antibiotics. The Centers for Disease Control outlines many of the dangers of bacterial resistance on their web page. Many dogs will need to take antibiotics at some point in their lives. With a thorough course of the appropriate antibiotic, your canine companion will be feeling back to normal in no time at all. When your dog is sick, it's natural to want to give him something to make him feel better. While antibiotics aren't always needed, they are used to treat several common medical problems in dogs, and many kinds are available.